Many of our machines are nearly new. 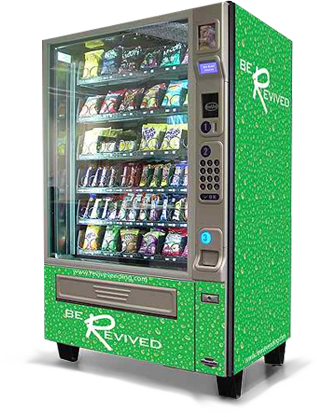 They are kept in excellent condition and offer a very attractive solution to your business or office environment’s vending needs. We utilize current technology to prevent troubles that older models may cause your employees or customers. We own most of our machines. This is important to you because we can mix and match products from any company to stock them. 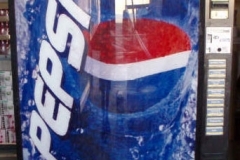 The product range might be from Coke and Pepsi products to canned or bottled juices or water. Have space constraints? 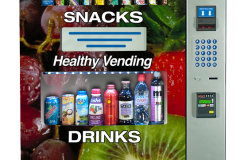 We can provide the option of combination machines that dispense both snacks and canned soda in the same space as one machine. 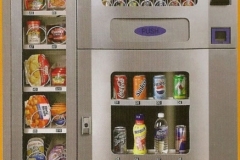 Our snack machines are FREE to use. 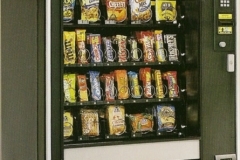 We have a variety of large 5 Row snack machine as well as medium size 4 row snack machine. Give us a call today.